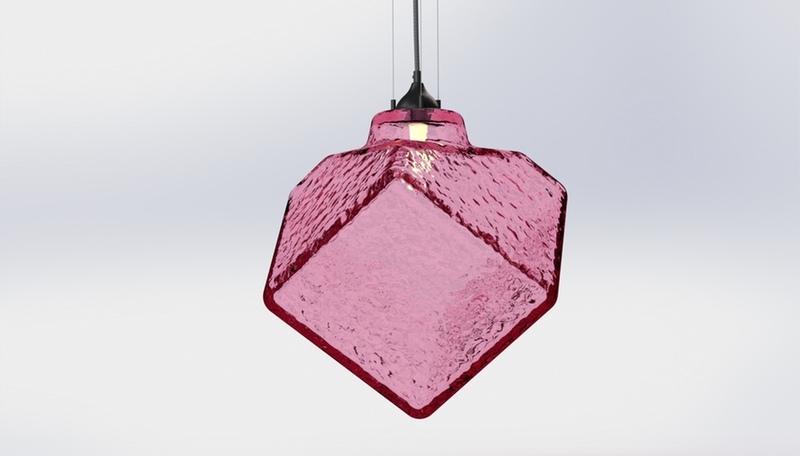 The Nanoleaf, by Tom Rodinger, Gimmy Chu and Christian Yan, is an ultrabright low-energy LED. 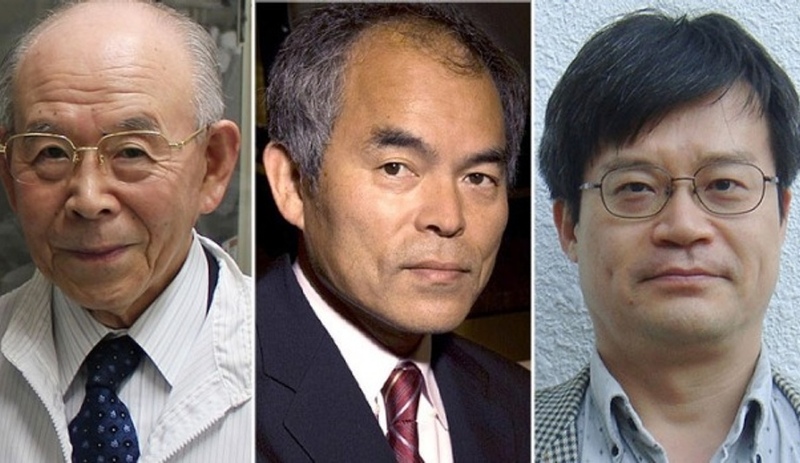 Shuji Nakamura, Isamu Akasaki and Hiroshi Amano, the three innovators who made the white LED possible, have just won the Nobel Prize in Physics. Here are five ways their breakthrough has changed the course of lighting design – and everyday life. Twenty years ago, Shuji Nakamura, Isamu Akasaki and Hiroshi Amano invented the blue LED, completing the red, green and blue triangle that allows LEDs to take on infinite colours – most importantly, white. Up until then, the white LED was the holy grail, with many companies racing to come out with the first of its kind. Now, two decades later, white LEDs have come quite close to achieving the warm quality of incandescents – making them an appealing choice for consumer lighting products – and lighting brands the world over have updated their fixtures to incorporate the diodes. Nobel winners Isamu Akasaki, Shuji Nakamura and Hiroshi Amano. Most significantly, LEDs now are available in screw-in bulbs, giving fluorescents a run for their money. Everyone knows that LEDs are an ultra-efficient source of lighting. They can last up to 50,000 hours, compared to an average of 1,500 for incandescents and 10,000 for fluorescents. A six-watt LED bulb replaces a 60-watt incandescent, saving significantly on electricity while providing the same level of brightness. 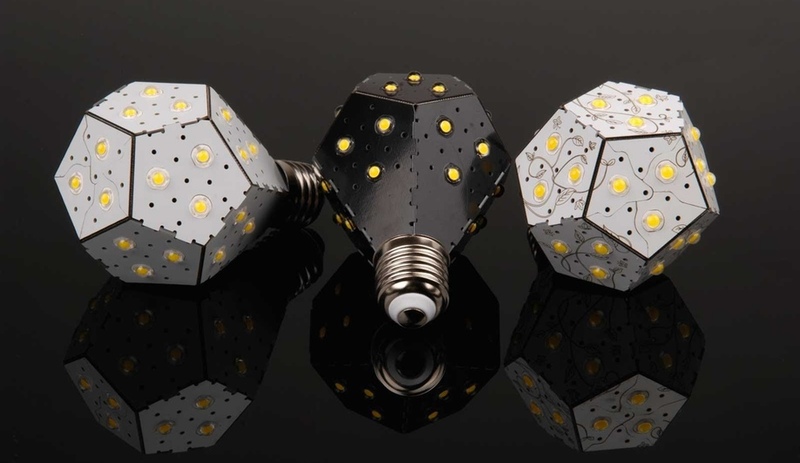 Now, lighting companies and designers are exploring new frontiers, from tunable lighting to organic LEDs – tiny diodes deposited on a film for illuminating anything from wallpaper to fabric to the thinnest of fixtures and gadgets. 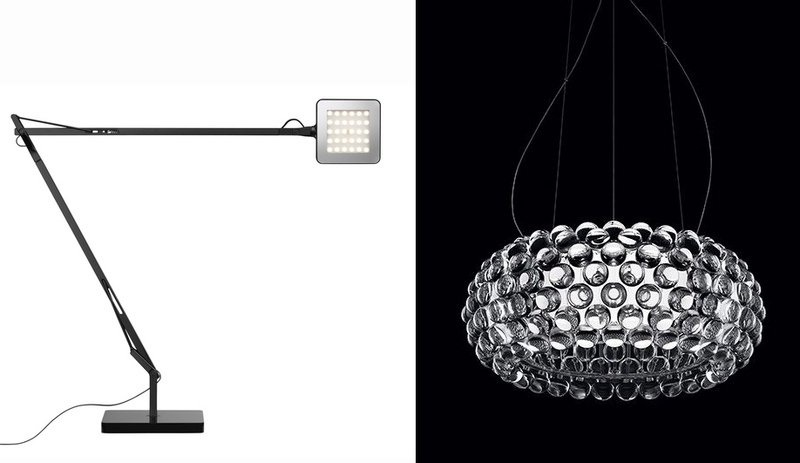 Left, Kelvin task light by Flos; Right, Caboche by Foscarini. Both come in LED versions. One invention leads to countless others. Once RGB LEDs could be packaged to create white light, the race was on to develop a more powerful white light with a warmer colour temperature. While the research into creating a warm white LED has been ongoing, many design companies, such as Flos and Foscarini, re-engineered their existing lines to accept LEDs, and have explored innovative ways to achieve the same emotionally uplifting glow as that of an incandescent. And such groundbreaking products as Herman Miller’s Leaf resolved such issues as heat dissipation in sleek new forms. Now fixtures for the home and office – from task lights to pendants to floor lamps – come with integral LEDs. In 2007, Apple announced its Macs would be LED-backlit. Not only do long-lasting LEDs save energy and money, they also result in cleaner electronics. 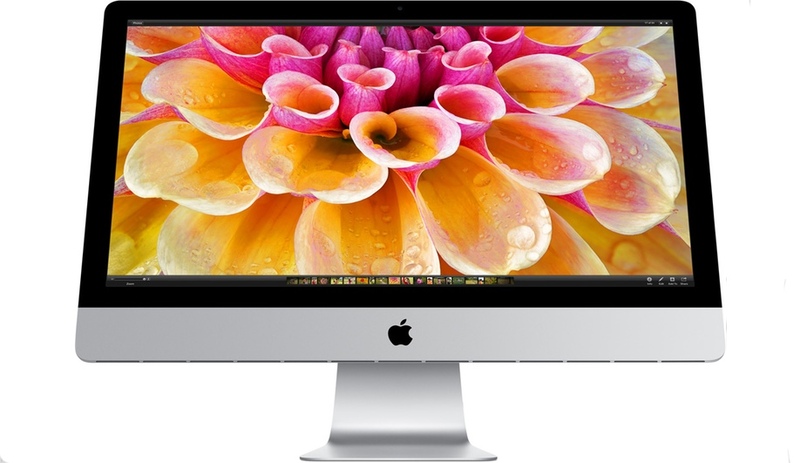 In 2007, Steve Jobs introduced LED-backlighting technology to all Macs, replacing the fluorescent LCD displays. The move was meant to eradicate mercury (contained in fluorescents) and arsenic (an additive) from the company’s products. Apple and others had already tested LED backlighting in smaller gadgets, like iPods and cell phones. 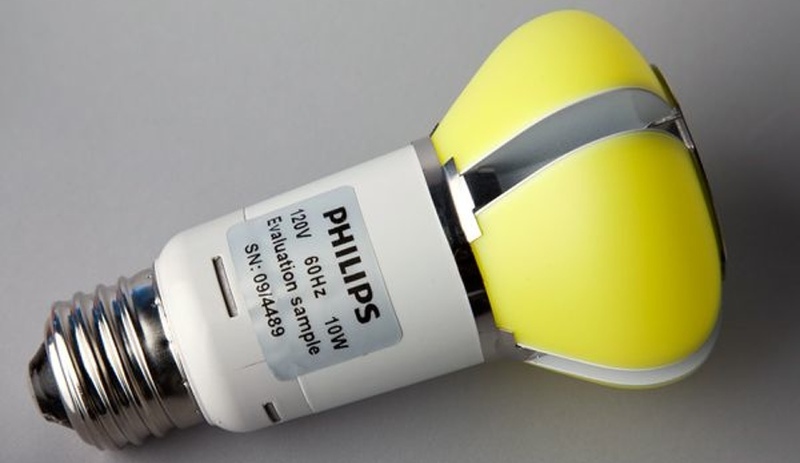 The LED bulb that started it all: the L Prize winner by Philips. Numerous companies – including Osram Sylvania, Cree, GE and Phillips – now make LED bulbs. This healthy competition has lowered prices at megastores like Walmart and Home Depot. It’s a sector that keeps on innovating. 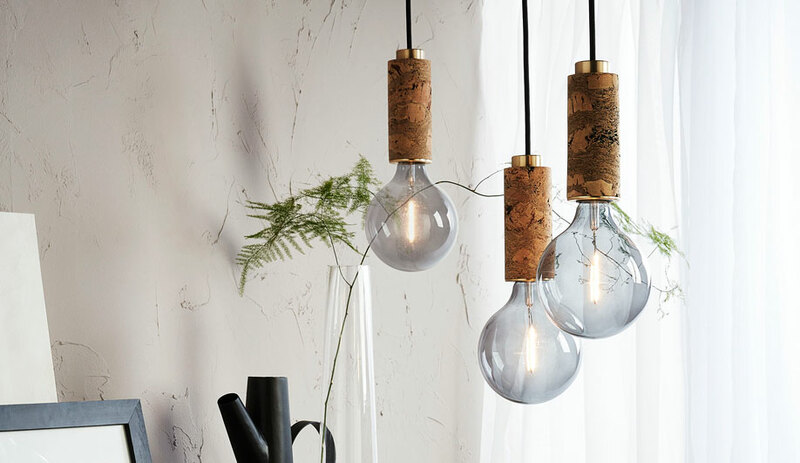 Philips recently introduced the first clear LED bulb – tapping into our nostalgia for the incandescent bulbs of yore. And the Nanoleaf, launched by three University of Toronto grads, boasts 1,800 lumens for just 12 watts. That’s twice the lumens-per-watts of most existing LEDs and CFLS. The warm white LED – to replace the incandescent – may have been the ultimate goal, but now LEDs are venturing into more exciting and colourful territory. And once again, Philips is a main player. 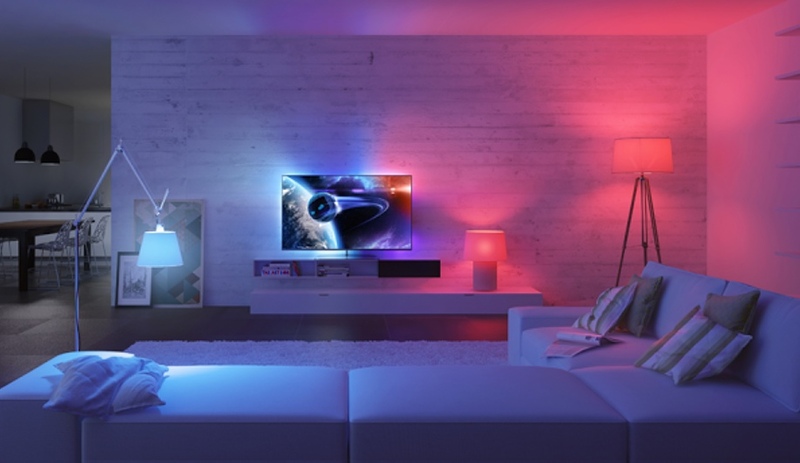 The company’s Hue program of iPhone-controlled lighting (available in Apple stores) has introduced colour-morphing effects to the home, where users can dim the glow or tune its temperature for mood-enhancing effects. 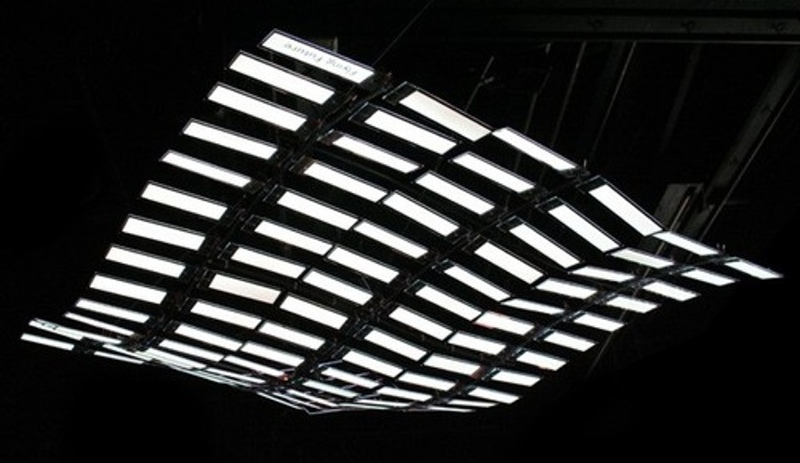 The experimental Flying Future fixture that Ingo Maurer made with Merck OLEDs in 2006. And organic LEDs (OLEDs) are now making their way into consumer lighting. Ingo Maurer, the German brand that has also integrated LEDs into wallpaper and table tops, has long been hip to the trend, working with Osram, Merck, Novaled and most recently Konica Minolta on jaw-droppingly thin OLED fixtures.